Now that my husband is working out of state and we have a small leak in my tire this Mechanical Tire Gauge has been great I have never felt safe with checking air in tires. 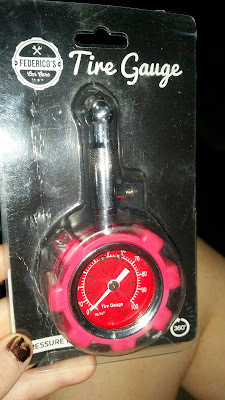 I just didn't know what to do or what to look for but now that I have this mechanical tire gauge I am very happy and I feel very safe knowing that I can check the air pressure in the tires. 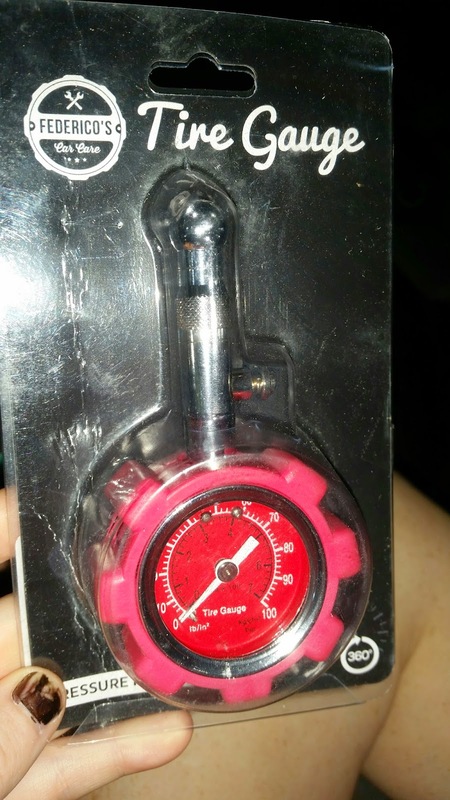 This tire gauge is pretty self-explanatory all you do is put it on the valve and then take it off real quick and it reads the pressure of the tire that way whenever I reach that number I know exactly when to stop. If you're in the market for a great tire gauge make sure you check this one out. • Durable Rubber Guard Encasing Unit For Added Protection - Protects against the unexpected. • 360 degree rotating head for hard to reach valve stems - Having a tough time reaching the valve stem? Simply rotate the chuck until you achieve a desirable angle. • Air Bleeder Valve - Bleed valve button allows you to decrease the pressure when needed until you get the desired level. 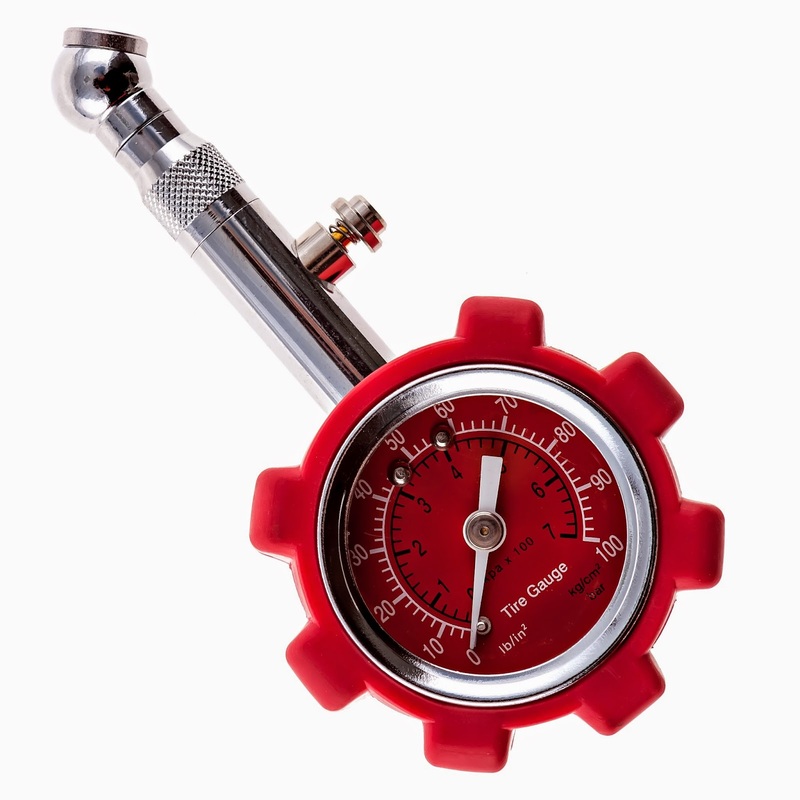 This Mechanical Tire Gauge has a non slip rubber grip and fits well in the hand. Taking care of your vehicle has never been easier and more comfortable. Underinflated tires are one of the leading causes of blowouts. If your pressure is low, too much of the tires surface area comes in contact with the ground, causing heavy friction which puts added stress on your tires, increasing the chance of a blowout. Protect yourself now and keep it inflated at all times.